If you have ever researched ways to lose weight, chances are you have heard of drinking green smoothies. One of the most popular weight loss programs that has emerged over the past few years is JJ Smith’s 10-Day Green Smoothie Cleanse . This program proclaims that you can lose up to 15 pounds in just10 days. The program consists of consuming 3 blended smoothies per day that contain green leafy veggies mixed with a combination of fruit, water, and ground flaxseeds. A small number of foods that are primarily vegan-based (with a few exceptions) are also allowed as snacks per day. You must also drink lots of water, drink herbal detox tea and take various other supplements that promote regular bowel movements. The program can be found in JJ’s New York Times bestselling book which is available at pretty much any major retailer. It won’t take much research to find rave reviews from hundreds of thousands of people on social media, amazon, and the like, who have reported tremendous weight loss success after completing the program. Having done the cleanse myself several times, I can also say from personal experience that it does work if followed properly. A persona can, and likely will, lose more weight after the 10-day cleanse than he or she would after completing a whole month of typical diet and exercise. If you are the average adult who works and has a family, following this cleanse can be somewhat of a nightmare. The amount of fluids you are expected to drink between the green smoothies, water, and detox tea will make you a prisoner to your bathroom, with the need to constantly relieve yourself. If you have a job that does not allow multiple restroom breaks, you will be forced to get most of your fluid in after work. If you are up all night using the bathroom, the lack of sleep can trigger night cravings and excessive hunger, which makes it even more difficult to complete the cleanse. With so many foods off limits, you can easily find yourself overindulging on the allowed snack items if you aren’t careful. Some of the biggest culprits are apples and peanut butter, almonds, hard boiled eggs, and square organic bars. Eating too many of these snack items will surely halt your weight loss efforts. Exercising will lead to increased hunger since the cleanse is so calorie restricted. It can also lead to dizziness and weakness. Adding protein powder to the smoothies helps, but it does alter the taste, and doing the modified version (2 smoothies with a sensible dinner) also helps but will not yield the same results as the full cleanse. JJ touches on this in the book, and this is something that you should prepare yourself for. The most common symptom of caffeine withdrawal is a headache, but you may also experience irritability, excessive fatigue, and even some mild depression. Some people have even reported flu-like symptoms. Keep in mind that this degree of withdrawal is probably a sign that your body has developed a dependence on caffeine, and if that is the case, then detoxing is probably a good thing anyway. One of the methods in the 10-Day Green Smoothie Cleanse book for promoting regular bowel movements is the “salt water flush”. This consists of drinking two spoons of sea salt mixed in a full glass of water. Increasing your blood sodium levels in such a short amount of time (hypernatremia) can lead to nasty side effects such as nausea, headaches, dizziness, and disorientation. These symptoms tend to pass quickly but can be incapacitating at the time, making normal tasks such as showering or driving extremely dangerous. The less dramatic method of colon cleansing recommended in the book is to take Mag 07 supplements which will promote a bowel movement the next morning when taken the night before. This one is huge. Do not start this cleanse with the mindset that you can return to your normal eating habits after the 10 days. The weight will return just as quickly as it melted away. You will either need to continue drinking green smoothies regularly or start another low calorie clean eating plan. 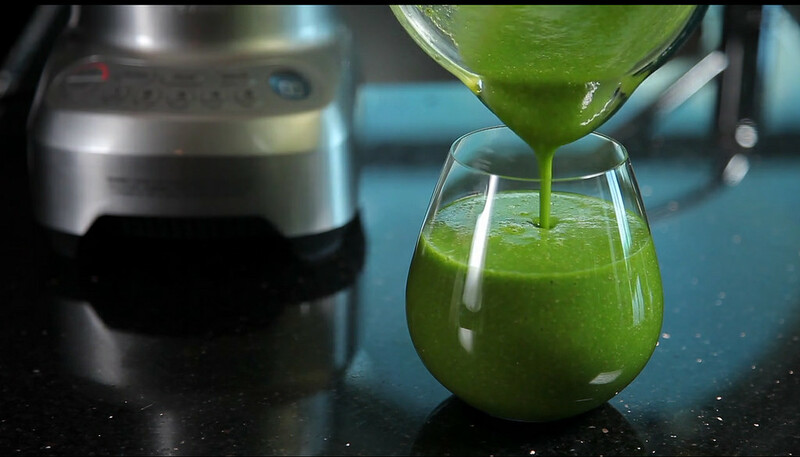 JJ offers a transitional program in her Green Smoothies for Life book, however it can be difficult to continue drinking green smoothies as meal replacements due to the risk of becoming bored. All things considered, the 10-Day Green Smoothie Cleanse is still a reliable method for healthy, rapid weight loss. You can indeed lose 10-15 pounds, or even more in some cases. Completing the cleanse will provide you with a sense of accomplishment and the confidence needed to achieve your health and weight loss goals. Have you tried the 10 day green smoothie cleanse and want to share your experience? Like, share, and comment below. Don’t forget to subscribe! Salimah Jones is a Family Nurse Practitioner and bestselling author of Nursing 411: The Ultimate Career Guide for Busy Adults . With over 10 years of experience in the healthcare industry, Salimah enjoys motivating people to achieve their health and life goals, as well as educating people on various health topics. Visit www.thenursingguide.com for more up-to-date health articles and free health resources. Can You Go to CRNA School if You Work and Have Kids? If you are a nurse looking to advance your career you probably have considered becoming a certified registered nurse anesthetist (CRNA). CRNAs are among the highest compensated and most prestigious professions in the nursing field. Unlike all of the other areas of nursing, the CRNA profession is predominantly dominated by males. Working in collaboration with anesthesiologists, these nurses provide anesthesia to patients who require sedation or analgesia during surgical procedures and to laboring women. In order to get accepted into a CRNA program you must first be licensed as a registered nurse and will need a minimum of a bachelor’s degree. 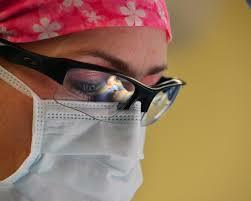 You can then either obtain a master’s degree or a doctoral degree depending on the CRNA program you choose to attend. Most CRNA programs require at least one year of employment experience in a critical care setting. CRNA programs are highly competitive and have rigorous academic requirements. Applicants should have competitive GPAs, GRE scores, and professional references. To give you an idea of how competitive these programs truly are, most programs will accept around 25 students per enrollment period and will receive anywhere from 2500-5000 applicants. This means an applicant has roughly a 0.5-1% chance of getting accepted per enrollment period. Applicants can increase their chances of being accepted into a program by having a strong admissions essay, practicing for the admissions interview, shadowing other CRNAs, and networking with current CRNA students. If you are not accepted initially you can retake courses to increase your GPA, retake your GRE, and reapply for the next admissions cycle. Applicants that reapply after being rejected may be looked at favorably for their dedication and perseverance. Most CRNA programs are structured like medical residencies in that they have didactic sessions in a classroom setting and clinical rotations in healthcare settings. The average program takes 2-3 years to complete fulltime. After graduation from the program nurse anesthetists must pass a comprehensive board exam in order to become licensed to practice. Most CRNA programs strongly advise their students not to work while enrolled. The academic and clinical requirements are quite rigorous and time consuming. Individuals that try to hold down a job are much less likely to be successful and pass their courses. If you apply to a program that does not strictly forbid you to work, it’s still a good idea to limit the number of hours you work. Like all nursing professions, CRNAs are expected to see excellent job growth within the next decade. When compared to other nursing professions however there are less CRNA jobs available than there are jobs in other nursing specialties. A recent inquiry on indeed.com revealed 1700 CRNA vacancies as opposed to 30,000 nurse practitioner vacancies and 200,000 registered nurse vacancies in the U.S. This is something to keep in mind when considering choosing this area for your career path. Did you enjoy this post? Like, share, and comment below. Don’t forget to SUBSCRIBE! Hi. I’m Salimah Jones, Family Nurse Practitioner, author, and expert nursing career consultant. As the founder of The Nursing Guide, I help aspiring and current nurses achieve success in their nursing careers. I have been in the healthcare field for over 10 years and have extensive experience in nursing education, leadership, and management. CLICK HERE to join The Nursing Guide Facebook Group and to connect we me and the other community members. It’s a well-known fact that today most nurses wear scrubs, but some may be unaware of the evolution of nursing professional attire. In the 1800s nurses wore uniforms that consisted of an all-white dress with a white hat. These outfits were a derivative of the uniforms worn by nuns, as most nurses were nuns back then. The outfits were not only a symbol of purity, but also a representation of cleanliness, and sanitation. The white dresses eventually became an identity for the nursing profession. Scrubs were first worn by surgeons in the 1970s. The name “scrub” was adopted because the surgeons wore these garments while they “scrubbed” themselves, prior to performing surgeries. Infection control was a growing concern which continued as modern medicine evolved. It became evident that healthcare workers needed to wear clothing to protect themselves and limit the transfer of microorganisms. Nurses began wearing scrubs in the 1990s, and scrubs are now worn across all healthcare disciplines both in and out of the hospital setting. So where does this leave the nursing uniform industry today? A new movement is taking place as millennials enter the healthcare workforce. Gone are the days of the plain, stiff, and uncomfortable scrubs. With the long work hours and physical duties required by nurses, the desire to both look and feel good has become extremely important. Designer scrubs are now taking over. One uniform company in particular is leading the pack with their trendy scrubs. DEMED Scrubs manufactures and sells uniforms made from high-end materials. Featuring unique properties such as moisture wicked interior, elastic waist, and wrinkle free fabric, these scrubs not only look fashionable, but offer a level of comfort that is unparalleled to other brands. The scrubs are also sweat and water resistant allowing them to repel stains and spills. With a style similar to athletic apparel, their durability accommodates any level of activity. If you enjoyed this post don’t forget to like, share, and comment below. Don’t forget to SUBSCRIBE below! As 2017 comes to an end, it is the perfect time to break out that vision board and begin to set your goals for next year. Many nurses want to earn more money, obtain a new job, gain a promotion, or even start a new business. These are all fantastic goals, but how do you realistically turn these into reality? If you want to achieve professional success in the new year, an intentional plan will be essential. Nurses have more opportunities now than ever before to assume a variety of different roles. Switching to a new specialty, or even just a new organization may be just enough to add a bit of excitement to your career. If you are looking for dramatic changes however, such as breaking into a leadership or executive role, you will need to rely on much more than just your professional license. Many nurses take for granted the power of a well written, and well-designed resume. Your resume is still your #1 tool for presenting your professional skills and unique qualifications. Jobs are becoming more competitive and recruitment procedures are becoming more automated. This means if your resume does not stand out from the pool of hundreds and thousands of applicants, you will not even be given a chance to interview. 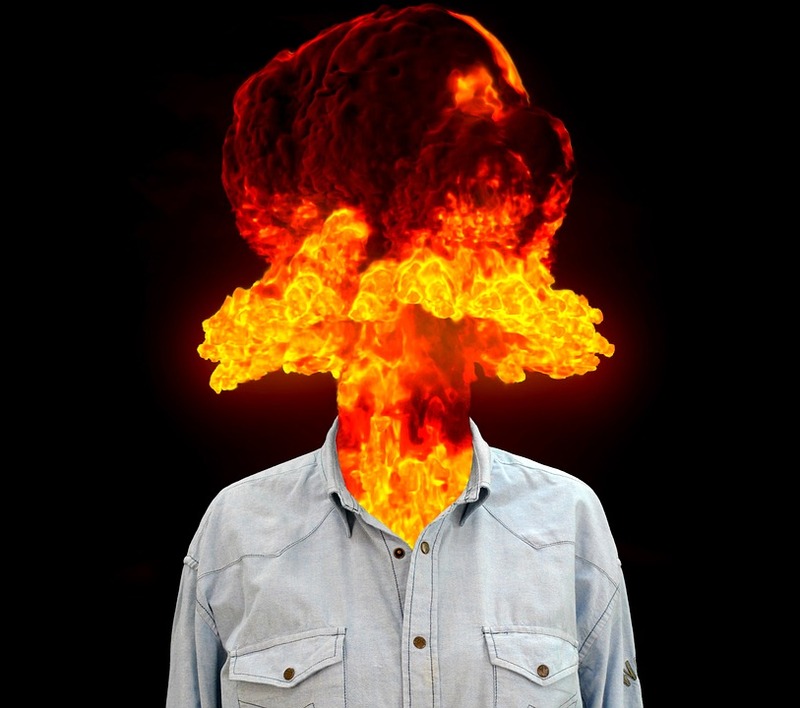 Hiring a professional resume writer will dramatically increase your chances of getting interviews. Certifications validate your knowledge and skills. When considering adding a certification you should think outside the box. Evaluate the needs of your current or a potential employer and ask yourself what types of skills the organization would value. These certifications do not need to be specific to the field of nursing. Example certifications that can be considered include certified asthma educator, certified diabetes educator, certified medical coder, and certified health or wellness coach. Many technical schools will allow nurses to add on a certification for radiology or diagnostic medical sonography. Certifications are also helpful for those looking to start their own businesses. This can be an excellent way to take your career to the next level. For example, if you are a nurse practitioner working in an urgent care setting, learning certain procedures or skills could help bring revenue to your organization. Examples include reading X-rays and EKGs, casting, and suturing. For LPNs and registered nurses, think about becoming a super user for your company’s EMR system or learning the ins and outs of the medical equipment used in your facility. Branding yourself as an expert in something is a great way to showcase your leadership skills. There are many people that live in the United States that do not speak English! If you are bilingual, and especially if you speak Spanish, you will nearly triple the value you bring to an organization. Having this skill alone can be enough to move your resume to the top of the pile. Don’t feel as though you have to be fluent before claiming this as a skill. Mastering simple conversational Spanish is extremely valuable, and you can add the course to your resume while you are enrolled. Memberships in professional organizations serve a variety of purposes. Not only are you able to network and meet other influencers in your field, but you also have the option to serve in leadership roles and participate in committees. Your experiences within these organizations will undoubtedly serve you well in your professional career. You can take traditional courses at a university or college that apply towards a degree, or you can take non-credit courses. Courses can be nursing related or outside of the field, as long as they bring value to your current or potential employer. Many nurses who want to break into executive and administrative roles pursue MBAs or degrees in Healthcare Administration. Other courses to be considered include information technology courses, marketing, writing courses, and speaking courses. There is extreme value in finding an individual who has travelled the road you wish to follow. Having a mentor gives you a competitive advantage as he or she can provide you with appropriate strategies to help you advance your career. Not only can mentors save you time, but they can also prevent you from making huge career mistakes. There are many organizations that offer services for career development. Fiverr is a great place to find quality resume writers for individuals who are on a tight budget. Check out the Nursing Guide’s resume writing gig HERE. CLICK HERE to review other career development services offered by The Nursing Guide! Did you enjoy this post? Like, share, and comment below. Don’t forget to subscribe below! After working for her health clinic for just a few months, Emily quickly began to make a positive impression. Her friendly attitude, outgoing personality, and ability plus willingness to learn was a perfect set of skills which matched her customer service role. Her boss recognized her potential and immediately began to pour into her by building a relationship, mentoring and empowering her to become a leader within the organization. She ensured that Emily utilized her strengths and interests to help achieve many of the company’s objectives. Her coaching paid off 10-fold as Emily’s contributions helped the company excel, both by increasing customer volume and retention. Emily caught the attention of the company’s top executives, receiving many praises and recognition for her work. She had not even been with the company for a year when she was chosen for the annual regional support staff award. One day, Emily came to work and her boss noticed that something was wrong. The twinkle in her eye wasn’t there, and that energetic bubbly personality that everyone grew to love was gone. When they had a meeting to discuss what was wrong Emily shared that she really wanted to go to nursing school but she had just received a letter stating that she was not accepted into the program she applied for. Emily’s boss was heartbroken when she saw how this news impacted her. As a nurse practitioner, she knew from personal experience the challenges involved with applying to and getting through nursing school. She made a decision that day that she would commit to helping Emily achieve her dream of becoming a nurse. Over the next few months Emily’s boss compiled all the information she had learned from her years as a nurse, student, educator, and manager. Her goal was to make sure Emily had all of the information she would need to successfully get accepted into nursing school, learn about different educational paths, obtain financial resources to pay for her degree, and all about nursing careers. She knew that Emily had what it took to be a nurse and would be a wonderful asset to the profession. She just simply needed guidance, a plan, and the motivation to keep pursuing her goal. Through the process of compiling all the material, Emily’s boss discovered that there was a substantial amount of information and many hidden resources that aspiring and current nurses who want to further their careers needed to know. She decided to publish her work in an easy-to-follow career guide called Nursing 411: The Ultimate Career Guide for Busy Adults . She dedicated her book to Emily. Several months after Emily read the book she went to her boss and told her that she was resigning. She stated “I was really inspired by your book.” Following the advice she obtained from the guide, Emily had begun retaking some of her nursing prerequisites and applied to several other programs. One of the recommendations in the book was to obtain a job in the health field offering flexible hours and tuition assistance. Emily decided to take a position at a university teaching hospital working 12-hour night shifts. The new position would allow her to devote more time to her courses and would also help pay for a significant amount of her schooling. Losing an employee like Emily was disappointing but her boss was overjoyed that Emily was pursuing her goals. She saw Emily’s renewed spirit and the sparkle in her eyes returned. She witnessed the power of being able to change the trajectory of someone’s life, simply by investing and believing in them. She is excited and looking forward to the challenge of developing more leaders, no matter where it ultimately leads them in their future career endeavors. Did you enjoy this post? Please like, share, and comment below. Don’t forget to subscribe! Are you an aspiring or current nurse who wants to further your education or career? Then CLICK HERE to grab Nursing 411: The Ultimate Career Guide for Busy Adults . This inspirational read provides the ultimate success blueprint. Get ready to start achieving your goals! Hi. I’m Salimah Jones, Family Nurse Practitioner, author, and expert nursing career consultant. As the founder of The Nursing Guide I help aspiring and current nurses achieve success in their nursing careers. I have been in the healthcare field for over 10 years and have extensive experience in nursing education, leadership, and management. I specialize in helping people overcome life’s obstacles so that they can accomplish whatever professional goals they set forth. CLICK HERE to join The Nursing Guide Facebook Group and to connect we me and the other community members.